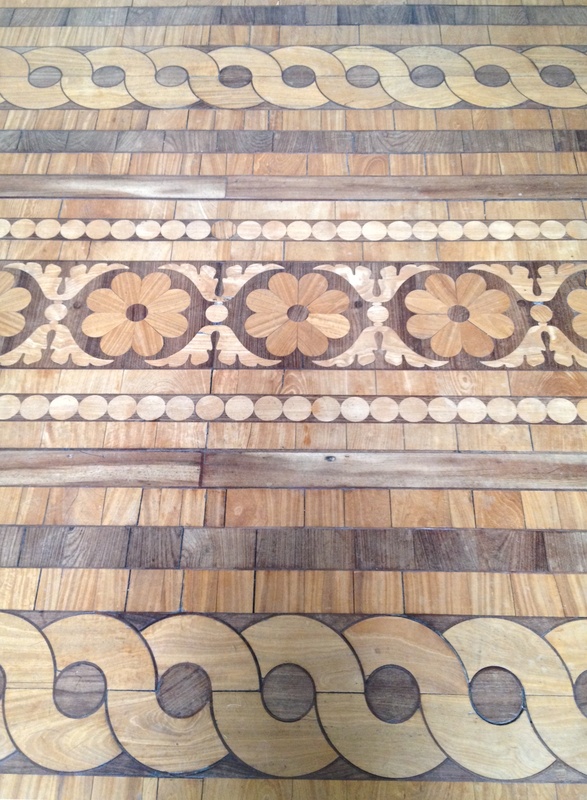 Two sections of the marquetry floors in the saloon at Ballyfin, County Laois. Dating from the 1820s and designed by the Morrisons père et fils, the house was built for Sir Charles Coote, premier baronet of Ireland. As such it was intended to reflect his status and was decorated with unusual lavishness and with inspiration from diverse sources: the floor here seemingly derives from Southern Spain’s Moorish architecture and is the most exotic in the country. Much more on Ballyfin in the coming weeks. This entry was posted in Architectural History, Country House, Laois and tagged Architectural History, Architectural Restoration, Ballyfin, County Laois, Dublin, Historic Interiors, Irish Country House, Stately Home, The Big House. When I think of the labor that must have been back then! So gorgeous! I`d love to know more about the lives of the craftsmen back then. Were they local? What were their working conditions like? Were they well paid? Wonderful workmanship. Unfortunately, as is the case the world over, little or nothing is known about the workmen behind such pieces of craftsmanship. One might as well ask who were the hardy souls who created our great mediaeval cathedrals across Europe. But absence of specific information or names ought not to hinder us celebrating their abilities, and ensuring these are preserved to be appreciated by future generations. 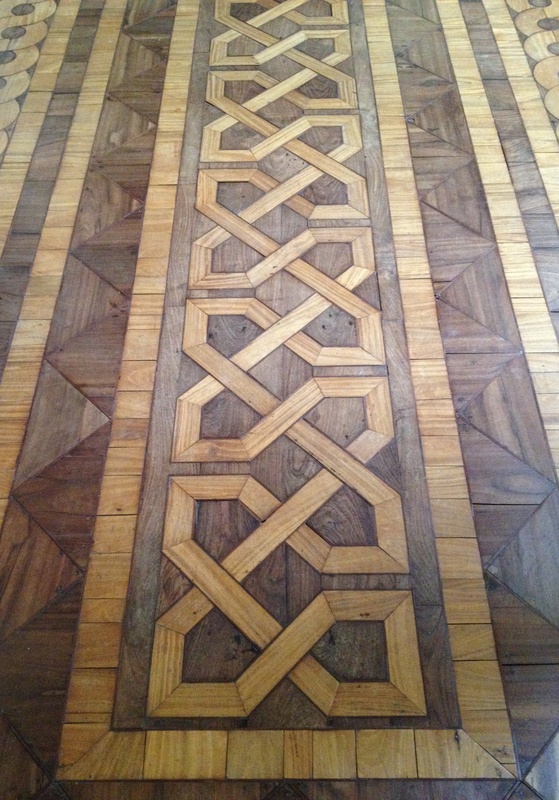 sometimes something wonderful happens and behind Ballyfins beautiful marquetry floors lies the story of James Cavanagh Murphy ,a humble Cork (could anybody from Cork ever be described as humble) bricklayer who was afforded the chance to develop his remarkable talent and create……………something wonderful. Thank you for this comment. Yes, the story of James Cavanah (as I have usually seen it spelled) Murphy is a remarkable one and shows what can happen when inherent talent is spotted and promoted. It does not appear that anything much has been written about the man and his career of late: might you know of any recent material published on him?